In order for a society to invest in schools, a perceived need must exist. In order for society to invest in a system of social reproduction, a perceived need must exist. In order for a society to make “literacy” a priority, a perceived need must exist. What is the need which pushes a society to make these decisions? Is the need transmission of culture? Is the need transmission of a work ethic? Is the need preparation of trained workers? Is the need development of compliant citizens? Or is the need the development of creativity? Of personal voice? Is the goal to allow for multiple representations? Multiple ideas of knowledge? One of the ways to ask about a society’s perceived purpose of literacy and education is to see which texts are “included” in curricula and which are left out. A look at Puritan New England in the seventeenth century, for example, would find only the Bible and books of Common Prayer “included,” and all other “popular literature” (whether printed or oral) doubted as to its moral value (Wright 1920). 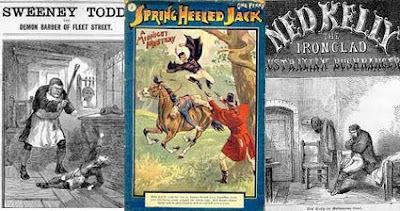 A look at late nineteenth century American culture would find the works of Horatio Alger – with their emphasis on moral judgment, hard work, and capitalist success – “included” but other ‘dime novels’ – filled as they were with rebellion, freedom, and independent lives – quite firmly excluded (Springhall, 1998). In 1960s and 70s America, books that told of rebellion and creativity within the basic shape of American society – from Fitzgerald to Hemingway – were “included.” Those which threatened those boundaries, either in written style or content, whether old or new – whether Dos Passos or Kerouac – were excluded. This split is also obvious when we see ‘preferred forms.’ Early New England thought songs were slothful, while celebrating the fixed nature of print. Turn of the twentieth century America thought books, especially expensive books, far more worthwhile than vaudeville or early film. Much was made in the last half of the twentieth century of youth wasting their lives on television as book reading declined. Often, forms of communication perceived as “easier” by the elites are derided. Socrates thought reading far easier than memorizing, and since that time, reading has consistently been seen as “more difficult” (and thus more worthy) than listening or watching. Film classes are considered “easier” than literature classes. Art History as “easier” than literary history. Books with larger words – more “difficult” vocabulary, are considered more valuable than “easier” fare – and surely more valuable than a graphic novel. The question is – is difficulty for a large part of the population a legitimate measure of worth? Or is it a system of preserving and/or controlling power? Springhall, J. (1998) Youth, Popular Culture and Moral Panics: Penny Gaffs to Gansta-Rap, 1830-1996. St. Martin’s Press. New York.